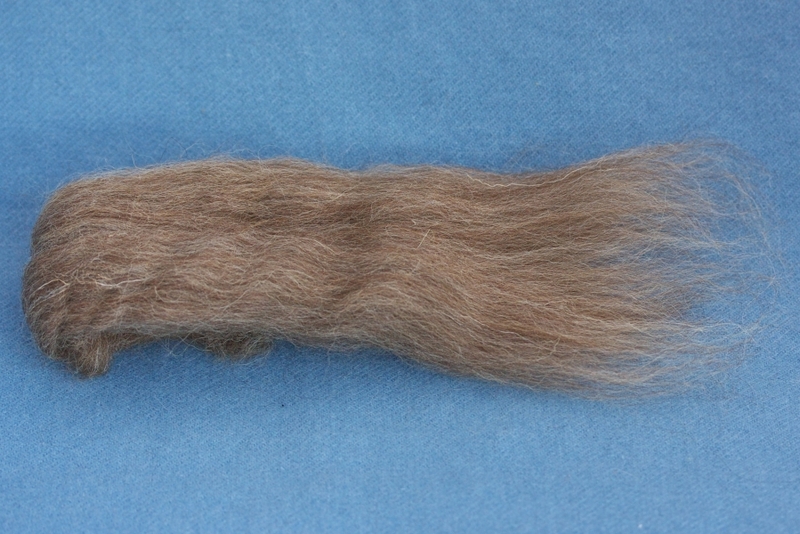 The top is machine-made and consists of fibres of varying diameter and in lighter to darker browns mixed together. Before spinning I recommend to slightly draft out the top, making the band a little slimmer and longer; this loosens up the fibres in the band and makes spinning easier. The wool is sold in units of 100 g. For large amounts or special needs please contact me per email!